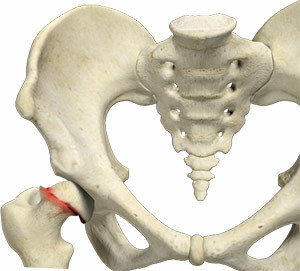 What is Slipped Capital Femoral Epiphysis? Slipped capital femoral epiphysis (SCFE) is an unusual disorder of the hip where the ball at the upper end of the thighbone (femur) slips in a backward direction. This is caused due to weakness of the growth plate. This condition is commonly caused during accelerated growth periods such as the onset of puberty. The cause of SCFE is unknown. However, in most cases it may be due to being overweight or from minor falls or trauma. Slippage of the epiphysis (ball at the upper and of the thighbone) is a gradual and slow process, however, it may occur suddenly in cases of trauma or falls.